Figure 4. Rotary Manifold Quick Disconnects (Type II) Removal. Figure 3. Rotary Manifold Quick Disconnects (Type II) Removal. Figure 5. Rotary Manifold Quick Disconnects (Type II) Installation. load. Failure to follow this warning may cause injury or death to personnel. 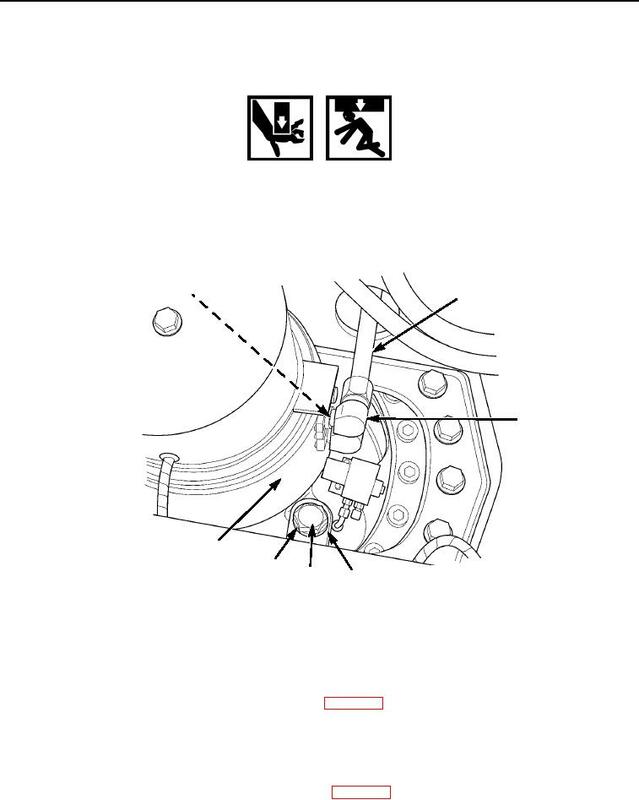 pin ear (Figure 4, Item 4) on upperstructure as manifold is removed from vehicle. Rotary Manifold Quick Disconnects (Type II) Removal.